If someone would like to take pictures and screenshots of the process for me that I can put into the guide, that would be great. Since I do not have a running Windows computer at the moment I can’t make them myself. (post a comment and I will contact you). This line will be removed once I have the pictures i need. Some guys a reddit.com requested that I made a quick guide on how to flash a LSI Megaraid M1015 SAS/SATA controller for pass-through firmware. This guide will be on how to flash it for pass-through OR raid functions, since it’s the same method but with two different files. I will supply you with the files needed as well. A USB stick (I Think 256MB is more than enough), it should not contain any data, since we need to format it! That’s all you need except for the raid controller itself and a computer/server to install it in! This entry was posted in Guide, hardware, Windows and tagged guide, Hardware, how-to, Server, USB, Windows on February 24, 2014 by Steffan. Update: I have not tested this on Windows 8, but it should work. If anyone does this on Windows 8 (i don’t have a Windows 8 machine laying around), please leave a comment to verify if it works or not. Yes, this post is about Windows! I had a problem yesterday, and thought I should post my solution since I had a hard time getting it to work and it might help others. I have a D-link DGS-3324SR rack switch for my servers, and it had some random IP address on the configuration interface that I was not able to find, and I needed to get into the switch to configure some vlans. I thought “That’s easy, just connect to the console port and thats it”, but then i came home to notice that none of my computers have a serial (RS323) port! 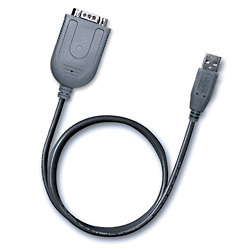 I then found a serial (RS323) to USB converter at work, the Belkin F5U103V and borrowed it for the day, but when i got home and plugged it into a Windows 7 64Bit laptop I noticed that there was no driver found for the device. This entry was posted in Guide, hardware, Windows and tagged 64Bit, Converter, guide, how-to, LAN, network, Serial, Switch, USB, Windows on September 7, 2013 by Steffan.